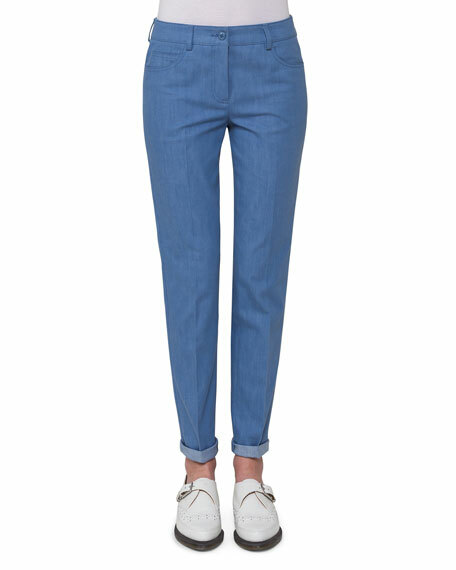 Akris "Magda" jeans in stretch-denim. Approx. 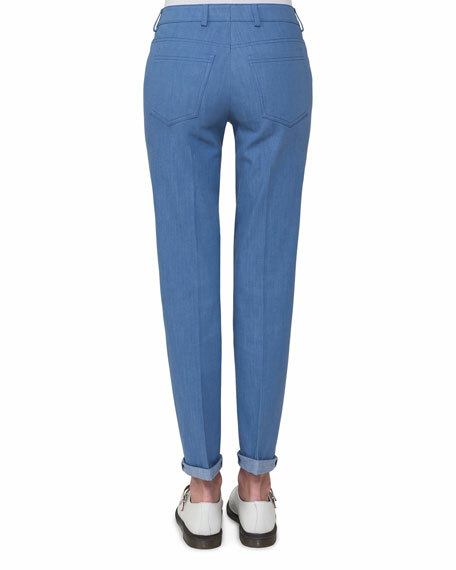 measurements: 30.5" inseam; 38.5" outseam. 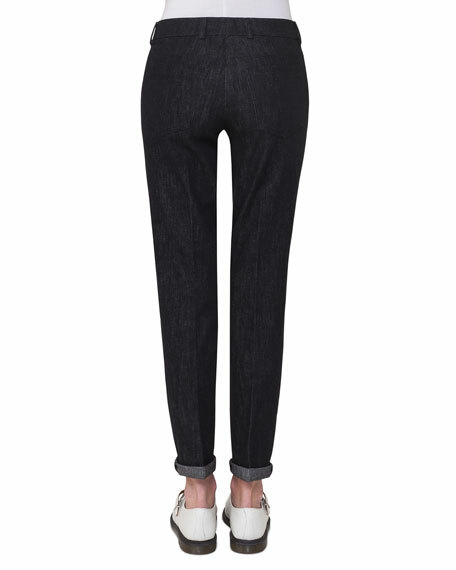 Slim-fit legs; cropped just above the ankle. Made in Romania of Japanese material. For in-store inquiries, use sku #2120551.